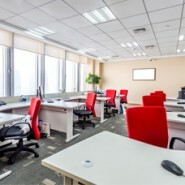 With the double-whammy of increasing pressure on costs and the need to provide flexible working arrangements for staff, organisations are getting more and more into hot-desking. Sadly, somebody has to try to manage this new, supposedly non-territorial seating arrangement. If you try to simple run a first come first served operation you’ll probably find that this brings in its wake almost a tsunami of issues and disputes (and no-shows too). However, the alternative – a properly managed and controlled system – may appear too costly, too complex or total over-kill. Until you look at the CABS Desk Manager Module that is. The CABS Desk Manager is a fully featured Hot Desk Booking System with a set of functionality and reports, supported by the CABS Web module - to allow secure, fully configured and controlled ‘self-service’ – underpinned by a full audit trail and auto-email communications. By taking a little time to plan and implement your optimal solution, you can create a friction and hassle free hot desk booking system that adds to morale rather detracting from it and takes surprisingly little administration.